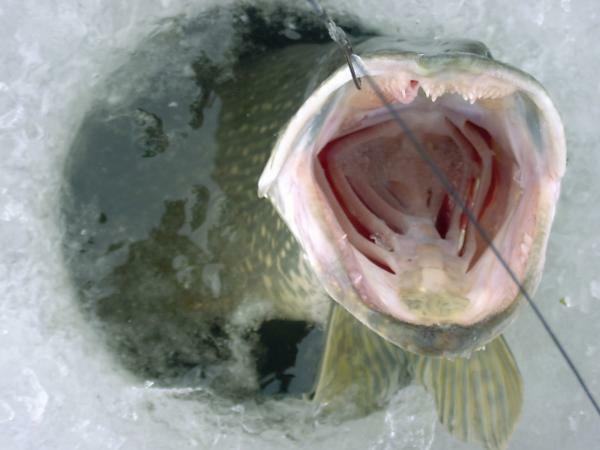 This year again, the Fishing Centre La Madeleine innovate for another time offering to you more service to answer to your needs for a great ice fishing day. 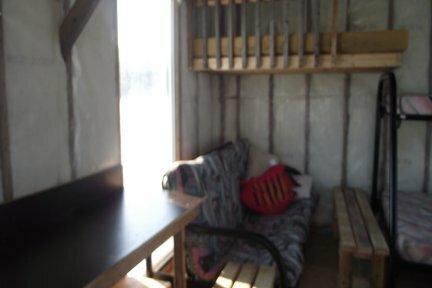 Since January 2010, we offer to you the possibility to rent for a day a mobile shelter and go for fishing walleye outside of the site in the middle of the river. In the cost of the renting, is included the transportation both ways to your spot by Quad for 3 people maximum. 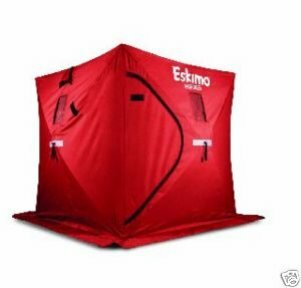 You have the responsibility of erecting and dismantling the shelter at the beginning and the end of the day. You may, if needed, rent the supplementary fishing equipment separately. For security reasons, You must bring your own sleeping bags. 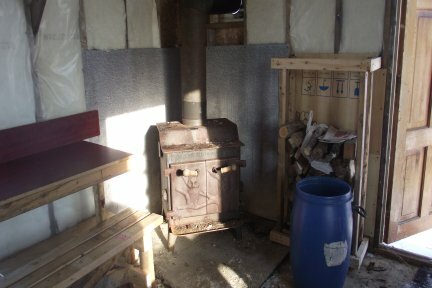 This package include the hut for 2 days and one night, the fishing during the complete week-end and 1 kit of tip-ups(10 tip-ups, the drilling, and 2 dozens of medium bates). For 6 people you get 2 kits of tip-ups. Because these 2 fishing huts are located nearby each other, you may easily bridge them for a group of 9 persons. Since January 2008, we offer the possibility to rent for a complete week-end, a huge fishing hut for 2 or 3 people maximum. 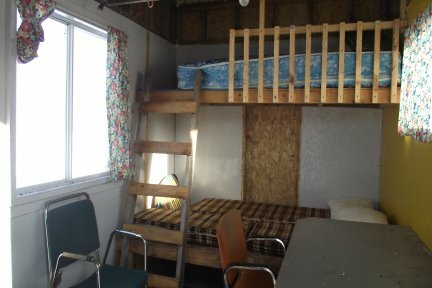 Since 2011 the Fishing Centre innovated adding a second fishing hut to increase the capacity for the week-end package. 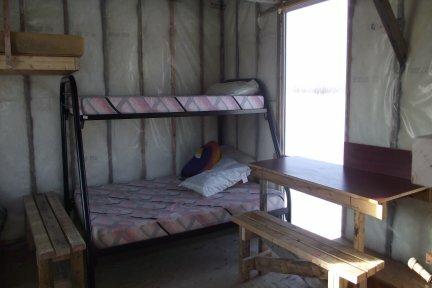 This new hut can receive from 4 to 6 people for sleep. To get more details on the cost of this package, you can look to or contact us by phone or by e-mail. 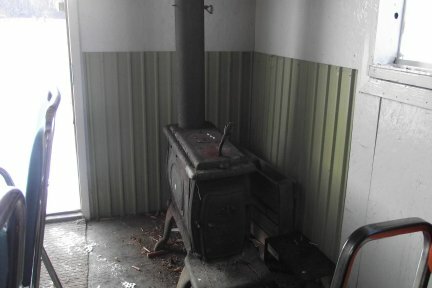 Since January 2003, we offer the possibility to rent at low cost a portable wood heater so you will have directly nearby your tip-ups a fireplace to heat your hands when you install the baits or when you roll-up the lines. 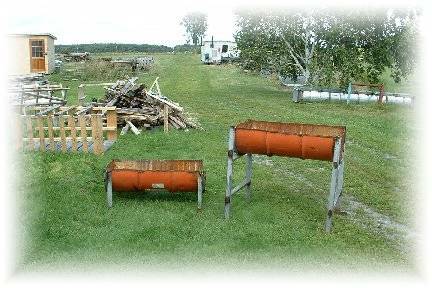 We can even supply a grill for your B.B.Q.